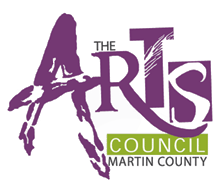 As noted in the grant guidelines, it is a requirement of funding that WSA and the Arts Foundation of Martin County receive credit in public relations materials for the funded project. Watch for an email shortly that includes up to date logos for both WSA and the Foundation. Accepting the grant and depositing the funds implies agreement with these terms. (At least ONE attachment is required, PDF preferred). Please use name of grant recipient in photo file name.